Bold and graphic, the Decora collection designed by Nikki Chu offers compelling geometric appeal to indoor and outdoor spaces. 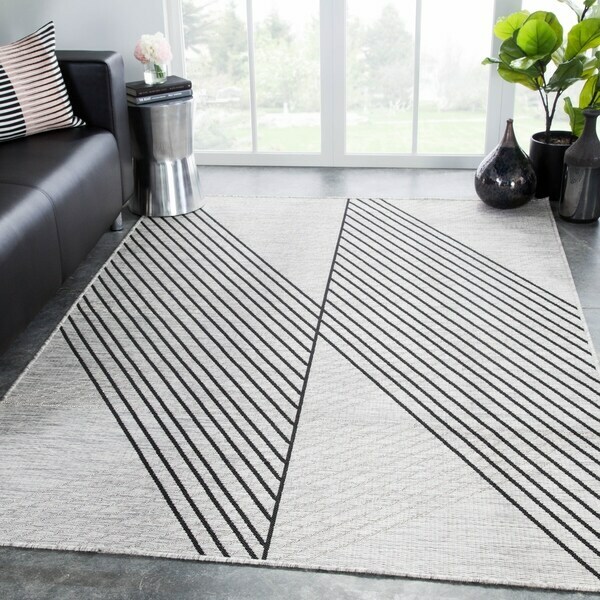 An angular linear design gives the Cyrene rug a strikingly modern look, handsome and sleek with a black on light gray colorway. This polyester accent is durable and weather-resistant, perfect for high-traffic areas and outdoor living. Dimensions 43.0 In. X 24.0 In. X 0.25 In. Awful! No recommended. Doesn't appear as photographed - it is much darker and has a grainy multicolored threading throughout. Very disappointed. Looks cheap. 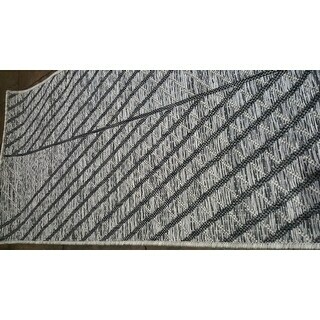 Nikki Chu Tangra Silver/Black Indoor/Outdoor Geometric Area Rug (5'3 x 7'6) - 5'3"x7'6"